PepsiCo Inc., Purchase, N.Y., and Coca-Cola Co, Atlanta, are among the consumer products companies discussing investments in Chobani LLC, in a deal that could value the Greek yogurt manufacturer at as much $3 billion, including debt, according to a report this week by Reuters. 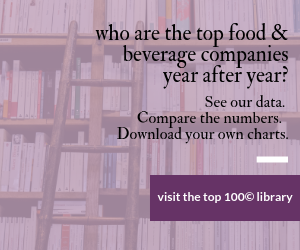 The report says the negotiations illustrate how soft drink giants are trying to diversify their businesses beyond the slow-growth carbonated beverage sector and move into the faster-growing consumer healthy lifestyle area. Chobani, New Berlin, N.Y., is said to be exploring the sale of a minority stake, including warrants owned by private equity firm TPG Capital LP, that comprise between 10-20 percent of its equity, depending on its financial performance. Chobani is reportedly looking for a strategic investor to help expand its supply chain, distribution, manufacturing and geographic base for its yogurts, including its highly successful Flip, which teams yogurt with flavors like peanut butter and coffee. Pepsi and Coca-Cola are only a few of the companies said to be interested in investing in Chobani, which began the project early this year. Chobani's yogurt has reached the top spot in Greek brands in the U.S., though the company has endured a few growing pains. Last year, Chobani sought funding to ease the expansion pressure. According to the Reuters report, the deal under negotiation could change, and it's not determined if either Pepsi or Coca-Cola will reach an agreement.